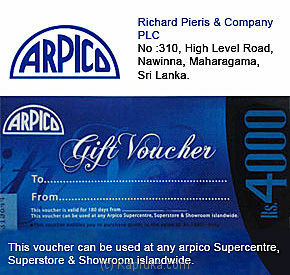 Reward the truly adorable people with Arpico Gift Voucher exclusively from Arpico, the joy of giving enhanced by choice. Rs. 1,000 Arpico Gift Vouche..
White Basmathi Rice Pkt - 1k..